 The City of Auburndale’s Parks and Recreation Department is dedicated to developing and maintaining pristine Parks and Recreation facilities while striving to meet the Mayor, City Commissioners and City Manager’s goals of advancing the quality of life in Auburndale’s neighborhoods. We offer a wide range of programming for all members of the community while maintaining and operating over 25 different facilities. Our Parks and Recreation facilities are suited to many interests including premier athletic fields and courts; pristine parks and picnic areas; historic museums and landmarks; marine and waterfront areas; and children friendly playgrounds. Cody McGhee was hired in January 2015 to be the City’s Parks and Recreation Director. He graduated from Auburndale High School in 2006 and received a Bachelor of Science in Business Administration with a minor in Sports Management from Webber International University in 2010. His work experience includes planning, marketing, and promotional work with Polk County Tourism & Sports Marketing and for the past four years as a Program Specialist over Events and Communications with the Florida Youth Soccer Association (FYSA). While at FYSA, Cody helped develop and implement many of the events held in Polk County and specifically the Lake Myrtle Sports Complex. He is the leader of the young adults program at Garden Grove Church, an avid golfer, sports enthusiast and tinkers around with graphic design in his spare time. He and his wife, Kristin, enjoy being involved with various church activities.